Unit 2220 is located at 1873 Country Club Drive in Kelowna,. The suite is located on two championship golf courses known as the Bear and the Quail.The suite is a short 20 minute drive to downtown Kelowna. This 1085 sq ft 2 Bedroom 2 Full Bathrooms suite has gorgeous views of Quail Golf course and surrounding mountains and valley. The Living room/ dining room area are large and roomy with large windows making for a very natural and bright atmosphere. We have stocked the entire suite; including the eating bar located in the gourmet kitchen, with everything you could possibly need in order to provide you with optimum convenience so you can just start relaxing from the moment you arrive. The master suite includes a King Bed, with a large ensuite bathroom and closet, and is equipped with a TV. The second bedroom has a Queen Bed with a bathroom just outside the hallway. We also have a full size Queen which is a pullout couch. It is an AMAZING location, overlooking the Okanagan Valley. There is a washer and dryer in suite, with all major appliances, and we provide most amenities such as paper products, soaps, laundry soap, garbage bags, coffee, teas and some assorted spices. We include all pots and pans, including utensils. There are also towels and linens. We want to ensure your vacation stay is just like the comforts of home, with only relaxation on your mind. Fully stocked with every comfort of home. Pinnacle Point Resort is a great location to enjoy the city of Kelowna. 7 - 10 minute drive to the core with all the services including tons of restaurants, shopping and activities. Wanting to get away for a weekend or a week? Relax, get away from it all? Dip into the swimming pool or rejuvenate your sore muscles in the hot tub. Need a good work out? The gym is well equipped and free!! 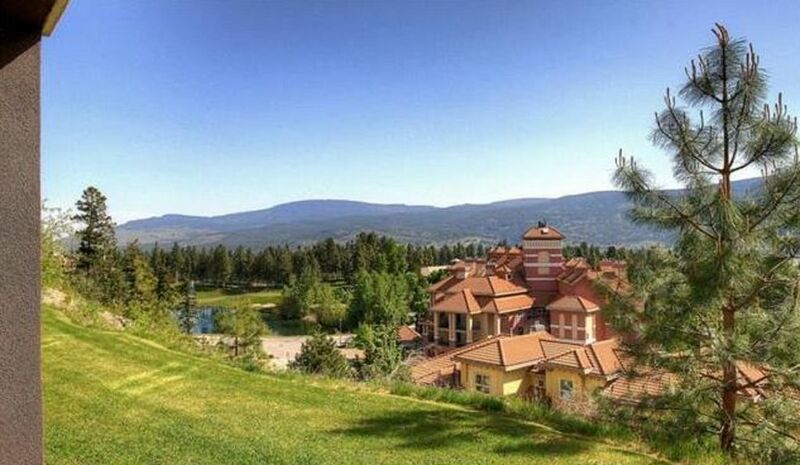 Kelowna offers 4 lakes, 7 wineries and 9 golf courses all within 15 - 20 minutes drive. Wood Lake and Beasley park are just a short drive if you want to launch your boat, rent a boat or enjoy a nice sandy beach. Wood lake is also stocked full of trout for your fishing pleasure. Pinnacle Resort is great for families, couples, golf groups, corporate groups, weddings and reunions. It is also the perfect getaway for groups of friends or relatives. We are the owners of Pinnacle Resort Unit 2220. We love Kelowna and the interior of British Columbia. We currently live in Calgary, and come to Kelowna twice every summer. We love the smaller town feel, with the beautiful lakes, vineyards, and amazing food, events and activities. Our objective is to make your stay as comfortable as home, and the feel of a vacation, relaxation and being somewhere new. We promise that you will enjoy your stay with us. You will have a direct line with us for any questions anytime. Look forward to your stay. We loved our stay at this property. It was very nice and clean, felt like home Amazing view. Highly recommend this place. The property looks even better then the pictures. Much larger than it looks. Was very clean. We enjoyed our stay and would recommend it for anyone. Everything was so perfect except checking in was a little bit challenge. This condo was a perfect location for our golf holiday. It is well appointed, beds were very comfortable, and the condo had everything we needed. The check-in was fine, Karen just needs to know your arrival time. We called her when we got close to Kelowna as it is hard to predict arrival times with traffic. We had a disappointing experience with management. The rental was nice and clean and we enjoyed our stay, but we did not like the communication with Karen. It had put a damper on the end of our trip. She wanted to charge us $50.00 for being 20 minutes late. Brittany, who met us to give us our keys told us it was okay as there were many late check ins due to bad traffic. It was an excessive charge for something that was communicated to be not a problem. We will not be coming back, which is regrettable because it doesn't reflect on the homeowner or the unit itself, but rather the property manager. Would not want to go through this again.